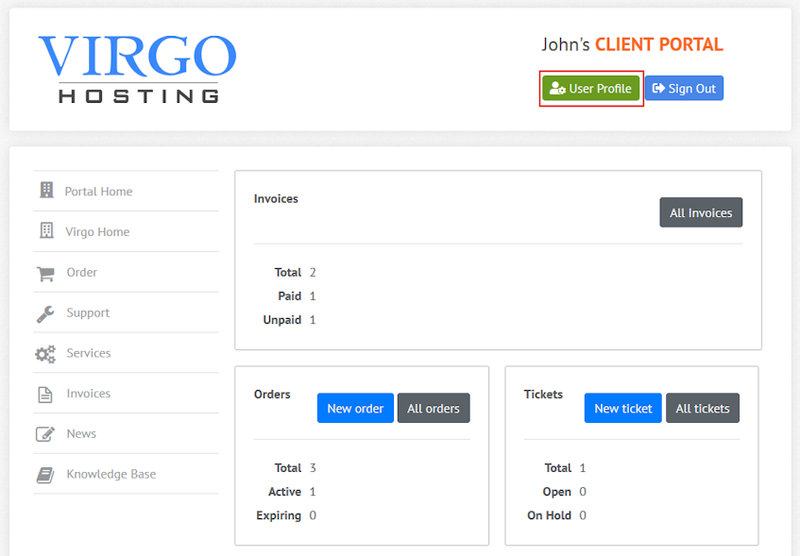 The User Profile interface in the Virgo Hosting Client Portal lets you modify your personal data and change your client portal password. In the client portal homepage, click 'User Profile' button on the header. Click "Details" link to view the "Update details" tab. Click "Portal Home" menu button. Click "Change Password" link to view the "New password" tab. Enter new password and password confirmation.